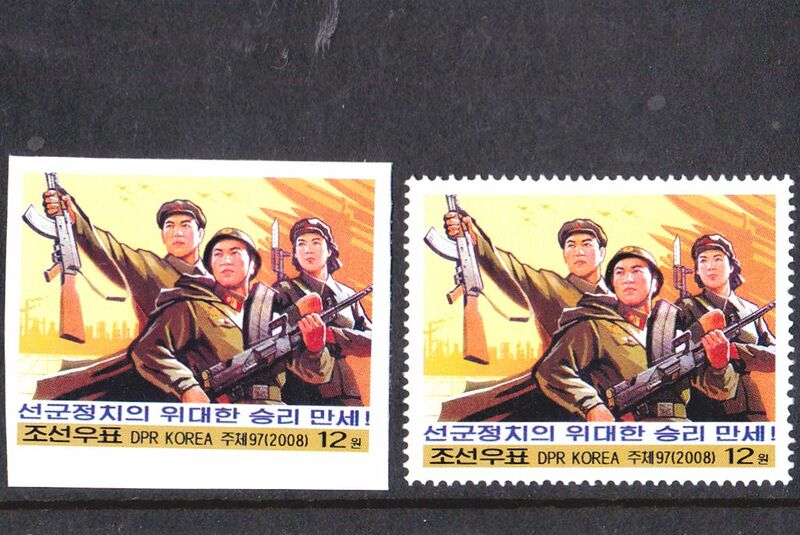 L4682, Korea "Songun Revolutionary Leadership, Anti-USA", 2 pcs Stamps, Imperforate. MNH, please see the pictures. 1 pcs Imperforate and 1 pcs perforate stamp. This product was added to our catalog on Saturday 27 October, 2018.